The ongoing dispute between the National Environment Agency (NEA) and the Aljunied-Hougang-Punggol East Town Council (AHPETC) on the cleaning of the food centres at Bedok has become a matter of national interest. As such, I had written to the NEA and AHPETC requesting for more information to be released so that Singaporeans can be more adequately informed of the matter. Please see below the email. To: Who It May Concern at the National Environment Agency and the Aljunied-Hougang-Punggol East Town Council. I refer to the ongoing dispute between the National Environment Agency (NEA) and the Aljunied-Hougang-Punggol East Town Council (AHPETC) regarding the cleaning of the food centres at Block 538 and Block 511 in Bedok. The dispute has become a matter of national interest and I am writing in to request to the NEA and the AHPETC to release the following documents, so that Singaporeans can be more informed of the facts behind the dispute. I believe that it is in the interest of Singaporeans that the above information is released to the public, so that we would be able to make our own informed decisions as to the facts of the case. The dispute had been aired in the newspapers for more than a week now and Singaporeans have cause for concern as to how the matter is being handled as it concerns the integrity of our national institutions. Your reply to this email would be instructive to Singaporeans as to how the matter is being handled. I would appreciate if you would be able to release the documents in a press release. Otherwise, if you would like to release them to me, I would also be able to put them up on my blog as well. 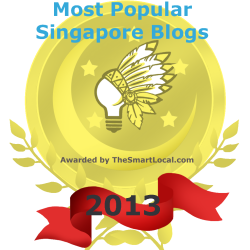 I will update this blog once I receive any response from the NEA and the AHPETC. 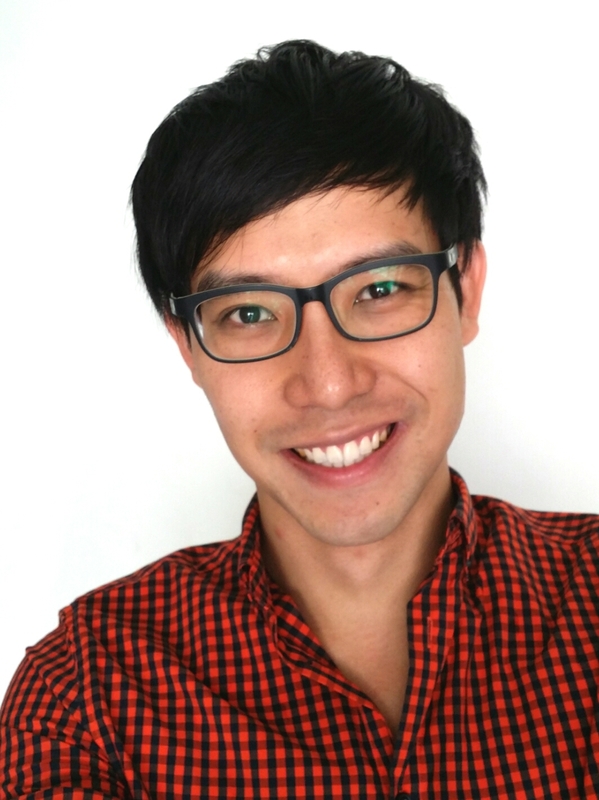 LTK have called everyone to move-on yesterday and i dont agree. LTK,Vivian,PUTNAM and ‘SLIM’s NEA play politics’ should move on as it is not necessary and they went over-board. 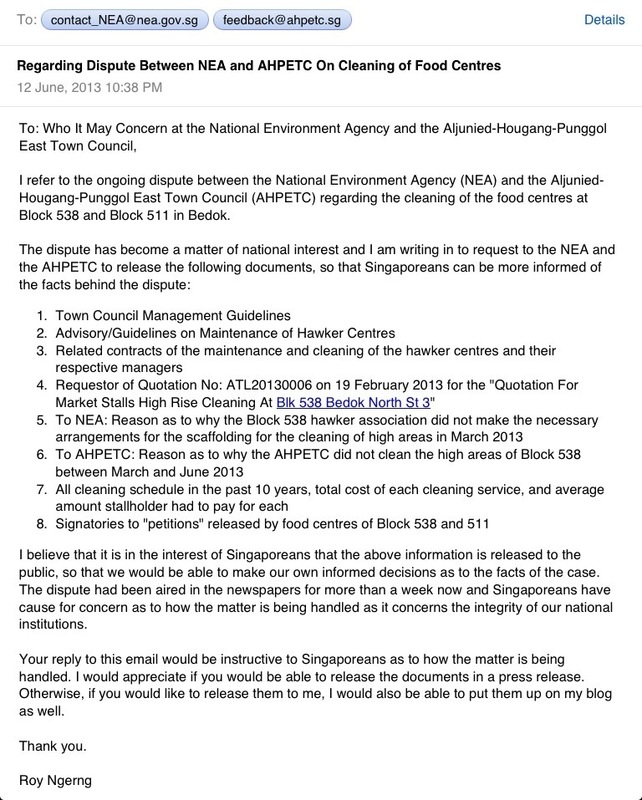 But the dispute on the ‘failed cleaning’ between NEA,AHPETC,ATL,Mr Ngkk should be accounted clearly. Who , how many party did wrong , what each party did wrong, what and how those parties can improve. The reason is very simple . These same characters have a lot of other cooperation work to do in other areas. If the wrong party or parties dont recognize their failure .Then other batch of citizens or hawkers will be disappointed again.Let me give a example to how serious such no accountability attitude can be….. Lets take for example NEA is the wronged party (ie just example again ). There is a chief in NEA who is a fanatic PAP supporter and in this scaffolding saga, he is trying all out to disturb AHPETC so that singaporea blame AHPETC for not able to handle hawker cleaning. IF we move on , then he will not change to become impartial. The next time he will continue to disturb WP,WP TC,WP supporter again . Maybe next he is assigned to solve the dengue problem and he purposely put no effort or insufficient effort in Hougang and punggol area to disturb WP again. He then start to accuse WP mp , those places and those residents for being dirtier ,not cooperating with NEA on cleanup resulting in more death in of citizens there due to dengue. Behind the scene he is smiling and congratulating himself without caring how big a wrong he did. Above is just an example of no accountability. Everyone should have a clear mind why it is necessity to find out the truth. I will be away for two weeks and won’t have access to mails. In order not to jam up this mail box, can you skip me during this period. Alternatively, I will access your blog and there is no necessity to inform me via mails. Thank you. This issue demonstrates that if scaffolding are not done or properly done the cleaning will end in a mess no matter how good the other workers did their respective job. Having different political parties and party members expected to coordinate and cooperate to do a task is a recipe for trouble. Maybe Singapore , citizens and government should recognition it is time to also restructure NEA base on their GRC. To avoid foreseeable same problem in future lets have a tanjong-pagar-environment-agency , pasir-ris–environment-agency ,Aljuni-hougang–environment-agency , jurong–environment-agency etc…..